3ds Max is a computer graphics program for creating 3D models, animations, and digital images. It’s one of the most popular programs in the computer graphics industry and is well known for having a robust toolset for 3D artists. A favorite among game developers, TV commercial studios, and architects, 3ds Max is owned by Autodesk, the same company responsible for programs like Maya and AutoCAD. 3ds Max is often used for character modeling and animation as well as for rendering photorealistic images of buildings and other objects. When it comes to modeling 3ds Max is unmatched in speed and simplicity. The software can handle several stages of the animation pipeline including pre-visualization, layout, cameras, modeling, texturing, rigging, animation, VFX, lighting, and rendering. As one of the most widely used 3D packages in the world, 3ds Max is an integral part of many professional studios and makes up a significant portion of their production pipeline for games and movies. What Does 3ds Max Do? 3ds Max is used in the video game industry for creating 3D character models, game assets, and animations. With an efficient workflow and powerful modeling tools 3ds Max can save game artists a significant amount of time. Also popular for TV commercials and film special effects, 3ds Max is often used to generate graphics for use alongside live action work. The movies 2012 and Avatar both made use of 3ds Max in this way. 3ds Max fits into the animation pipeline at nearly every stage. From modeling and rigging to lighting and rendering, this program makes it easy to create professional quality animations easier and simpler. Many industries use 3ds Max for generating graphics that are mechanical or even organic in nature. The engineering, manufacturing, educational, and medical industries all make use of 3ds Max for visualization needs as well. The real estate and architectural industries use 3ds Max to generate photorealistic images of buildings in the design phase. This way clients can visualize their living spaces accurately and offer critiques based on real models. 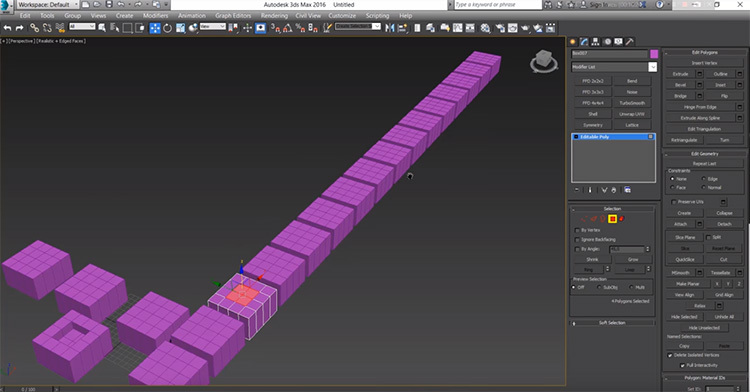 3ds Max uses polygon modeling which is a common technique in game design. With polygonal modeling artists have a high degree of control over individual polygons which gives them a greater range of detail and precision in their work. After a model is completed, 3ds Max can then be used to generate the materials and textures necessary to really bring things to life. Adding surface details such as colors, gradients, and textures will lead to higher quality renders and game assets. There are several rendering options available in the software. Skilled CG artists will be able to create photorealistic images using techniques designed to mimic nature. 3ds Max is also capable of toon shading and other stylized techniques popular in video games. 3ds Max can create realistic simulations of fluids such as smoke and water, both of which are used frequently in the entertainment industry. Rigidbody physics in 3ds Max allows for the simulation of hard bodies such as rock and wood. These simulation tools create shatter effects and rag-doll physics in ways that other software can’t handle. Combined with a highly customizable particle effects system, these features can generate impressive photorealistic images and animations from scratch. For creating life-like character models, 3ds Max provides simulations for hair, skin, clothes, and fur. And the many plugins available online reduce the development time for these types of models. 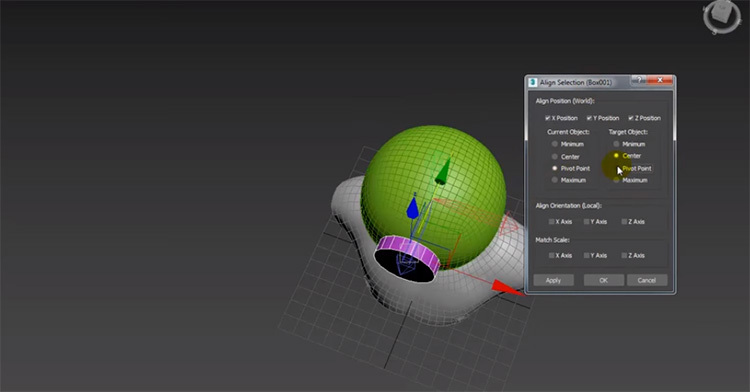 With its own scripting language, flexible plugin architecture, and customizable user interface, 3ds Max can be personalized to fit the needs of any 3D work. 3ds Max really caters to architectural designers and game asset artists the most. As for rigging and animation, 3ds Max has everything necessary for professional work. So it is often used by professional animators working on big budget films, indie films, or even smaller commercial spots that need some 3D motion. Using skeletons, bone constraints, and kinematics, artists can animate characters using a really simple process that almost anyone could pick up with practice. 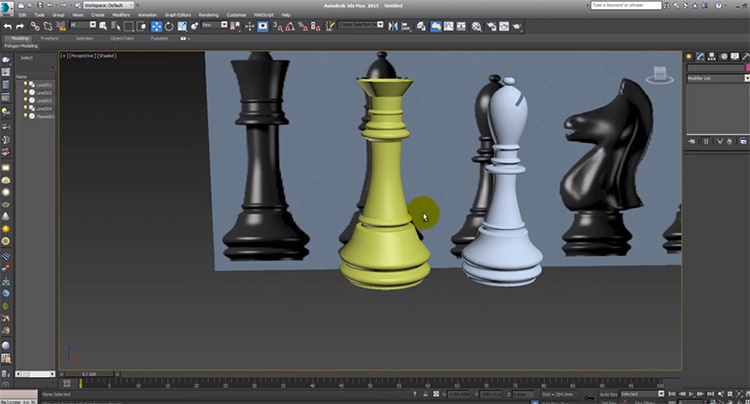 Animation in 3ds Max revolves around keyframing bone properties, making it easy to create complex and organic motion. This software comes with two subsystems for animating character models: CAT and character studio. Each is fully customizable with a wide variety of applications. Both are compatible with motion-capture file formats too. And together they provide a powerful means of animating complex and detailed scenes. 3ds Max is often compared to Maya among those in the creative industry. While Maya is generally more powerful in most areas, 3ds Max is easier to use and often more forgiving. This is especially true in the modeling department. When it comes to modeling, 3ds Max is considered supreme due to its highly capable toolset that almost anyone could learn with a bit of practice. Because 3ds Max is easier to learn than most other 3D graphic packages, it is commonly used to teach 3D art to beginners. Many secondary and tertiary classes use this software in their 3D graphics and animation courses. 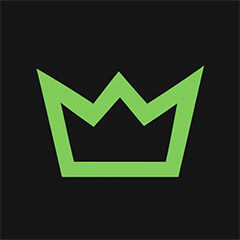 Game studios like Ubisoft use it for creating many game assets. And colleges like the Savannah College of Art and Design(SCAD) use it in their classrooms. They rely on 3ds Max for teaching animation to the next generation of artists. If you’re looking to dive into the complex and exciting world of 3D art and special effects, 3ds Max is an excellent program to start learning. It’s studio ready and used by professional artists all over the world, yet still gentle enough to pick up even if you have little-to-no knowledge of any 3D work.